Small scale dining side chair. 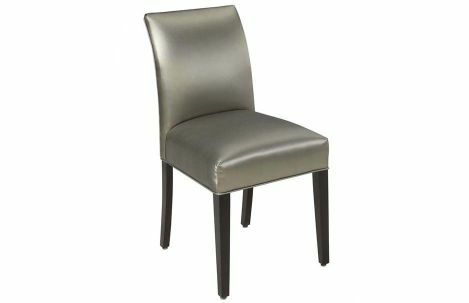 Shown in a Java finish and one of many fabrics to choose from. Several finish & fabric options available as well as COM & COL.